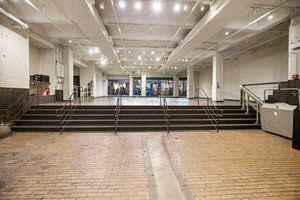 This prime retail space is located among the renowned storefronts of Chelsea Market in the heart of the Meatpacking District. 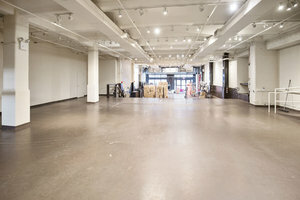 The space has two visible storefronts with floor to ceiling windows which offer brilliant exposure in this busy area. 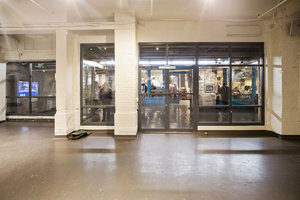 The space has an open plan with raw interiors, white walls, gray and brick flooring and a lower level give the space an authentic industrial edge. This area benefits from very high foot traffic from the surrounding 1 million sq ft of office space as well as the retailers that fill the other 225,000 sq ft of Chelsea Market. Unparalleled proximity to the High Line which passes just outside the space and the expanding opportunities that have greeted the transformation of the neighborhood. Brands in the area include Apple, DVF, Hugo Boss, Stella McCartney, Theory and Anthropologie as well as a range of popular restaurants.